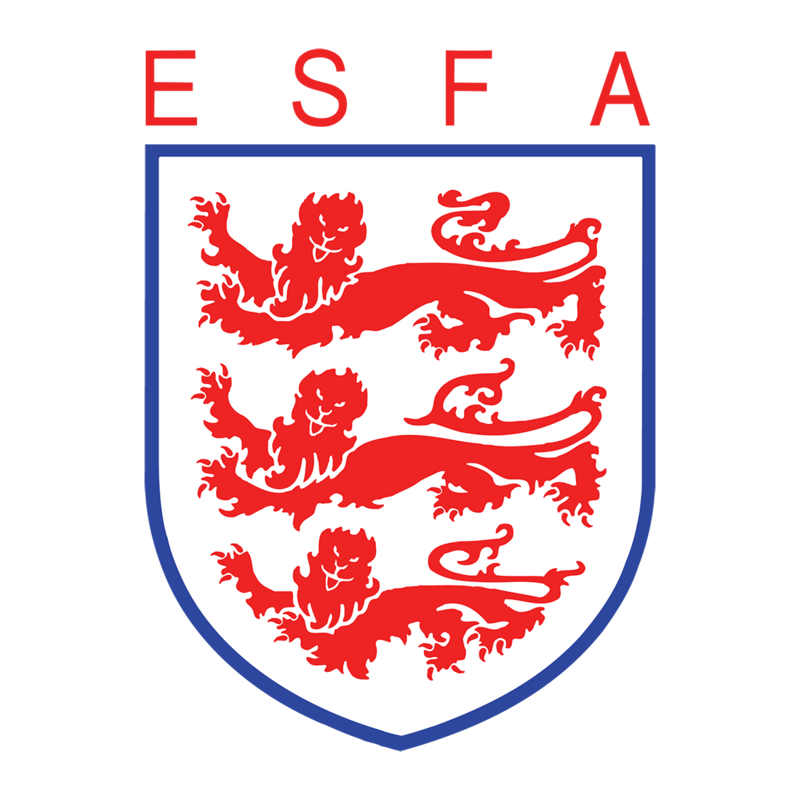 On Tuesday 2nd March the ESFA headed to Shrewsbury Town’s Montgomery Waters Meadow to feature the two Boys’ U18 National Finals, which showcased some of the best U18 schools footballing talents from around the country. After 8 previous rounds and over 300 exhilarating cup matches, the finalists were confirmed as Derby & District’s Repton School and Richmond District’s Hampton School. With just the National Final remaining, the two teams battled it out to become National Champions. The game got off to a lively start with Repton’s N’to (7) and Hampton’s Joash (7) both showing their ability to turn a player and get at their opponent’s defence with terrifying close control and pace. Throughout the opening ten minutes the 700+ strong Hamptonian Army made their presence felt around the stadium, roaring on every Hampton attack, resulting in some early Hampton efforts at goal with Rhodes (11) at the heart of everything good. With the final moving deeper into the first half, Repton began to demonstrate why firstly they were the 2017/18 champions and secondly why they had reached a final once more, fighting to retain their title. Repton’s Jones (25), described by spectators as a “mini Messi”, was getting himself on the ball in the pocket, committing defenders and pulling strings to make Repton look the more likely team to break the deadlock. Just on the brink of half time, the opening goal of final came from Repton. The move was started by some good individual play from captain Bowman (2) down the right wing. Bowman (2) bobbed and weaved, creating space to whip a dangerous cross into Hampton’s box. The ball was met by Jake Raine (10) and his shot was well saved by Tim Wallace (1), but when the ball dropped to top scorer Buffin (11), he made no mistakes firing a shot past the player on the line, 1 – 0 Repton (43rd minute). After the half time interval Hampton came back out to cheers of encouragement with the Hamptonian Army’s full support, in hope that the Hampton boys would make a come back in this national final. It was clear to see the Hampton squad resonated with the many travelling fans as they looked hungry to get next crucial goal; with Hodgson (19) coming close, Short (10) blasting just wide and Joash (7) hitting the post, all within the first ten minutes of the second half. Repton had their chance to make the final a whole lot more comfortable with Sawyers (18) breaking the line and bearing down on the goal, but his shot fired just agonisingly wide. In the last 5 minutes of the 90 minute regulated time, it looked like Repton were going to hold on to a historic title defence, but come the 86th minute Hampton were given their last chance to get back into the running with a late penalty after a foul in box on Hobbs (9). “And it’s Louis Instrall who has the job and HE SCORES!” with Instrall (8) penalty, Hampton were back in the game! With the scores tied at one a piece that meant we were in for extra time and a penalty shootout, should the score continue to remain even. Throughout the entire extra time period, both teams defended with everything they had and without any clear cut opportunities, that meant only one thing… penalties! First up was Hampton’s Instrall (8) and having already scored a penalty earlier in the game, it could’ve been risky move but Instrall (8) wasn’t fazed – firing low and hard into the side-netting. Next up was Repton’s N’to (7) who looked confident as he struck a strong penalty, but it cannoned back of the crossbar. Hampton’s next penalty taker was Player of the Match, Joash (7), scoring a huge penalty to give Hampton 2- 0 lead…player of the match Joash (7) delivered. Repton, in need of penalty conversion, sent forward the number 11 Buffin. However, Keeper Wallace (1) reads the shot perfectly for a save. Kalathias (16) stepped up and just like the previous Hampton penalties he too delivers. Repton had to score to stay in the tie but with one penalty already saved, Wallace (1) arises the hero saving yet another shot and winning the final alongside the rest of the Hampton squad. Commiserations to Repton School who played a fabulous game but it was Hampton School’s day. It has to be said Hampton’s twelfth man played a huge role in the national final triumph, from start to finish their incredible supporters were behind the team as they claimed the title from the reigning champs. Hampton School are National Champions! The penalty shootout at Montgomery Waters Meadow finished Repton 0 – 3 Hampton School. Congratulations to Hampton School on earning the title of 2018/19 ESFA U18 Schools’ Cup for Boys National Champions!